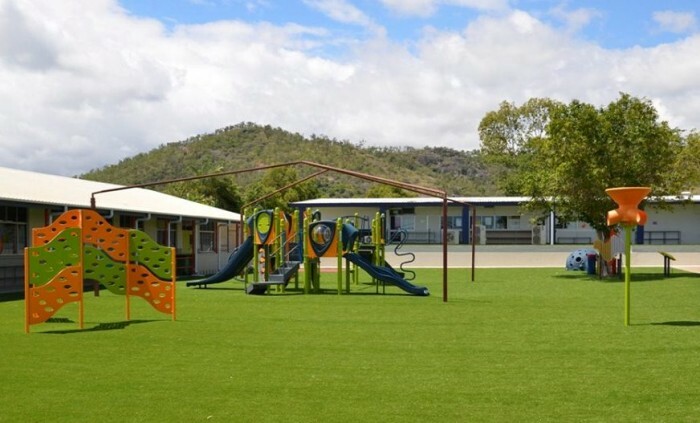 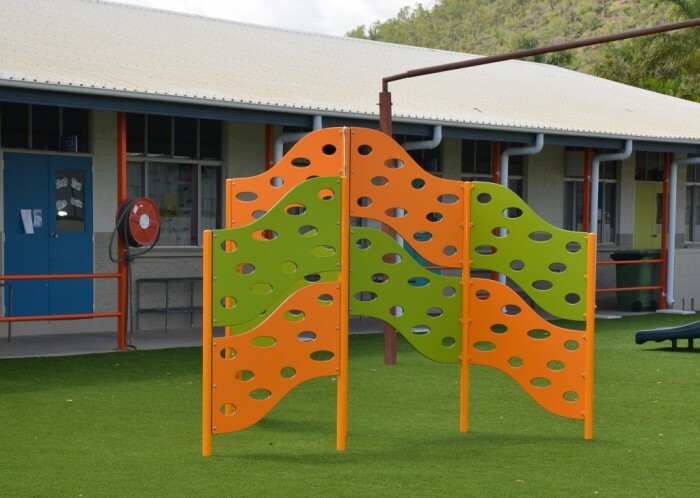 Advantage Sports and Leisure – Playscape Creations’ agency in North Queensland – has just finished their latest playground installation at Calvary Christian College in Townsville. 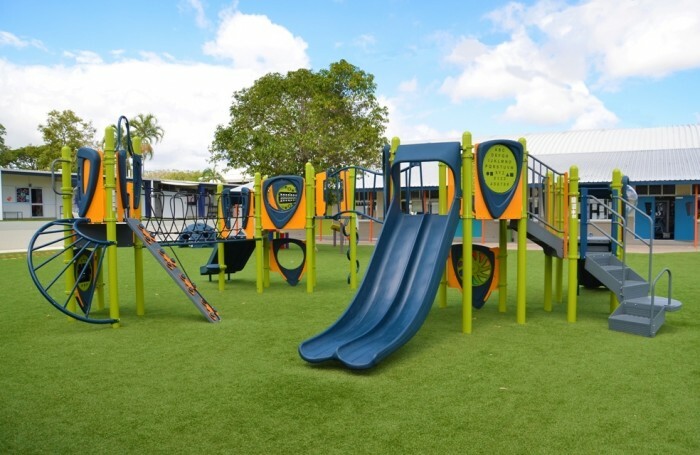 This 800sqm playground features a unique PlayBooster design that challenges children in a variety of ways with climbing, upper body strength, gross motor planning and sensory skill development – while of course being loads of fun! 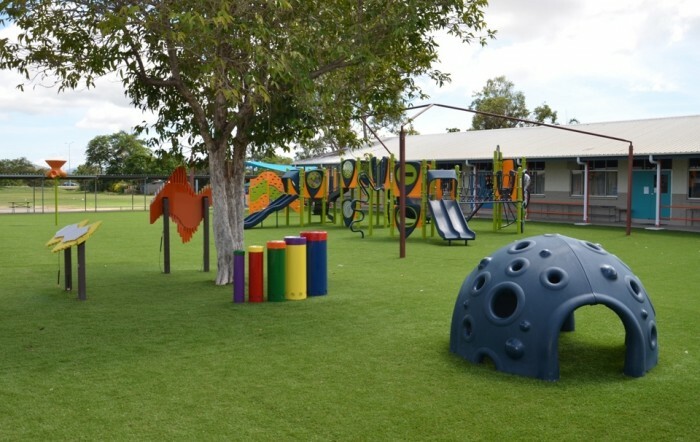 The first installation in North QLD of our exclusive Freenotes Harmony Park outdoor musical instruments offers the students at the College an engaging play experience that not only connects them with the outdoors but also offers an enlivened musical experience. 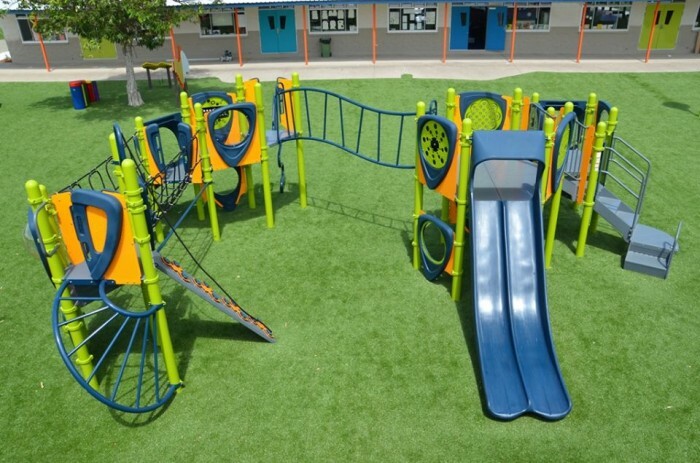 Other fun ideas incorporated into this large recreational space include a Cascade Climber, 3 way basketball ‘Drop Shot’ and sensory Cozy Dome that offers both a climbing experience and a quiet shelter. 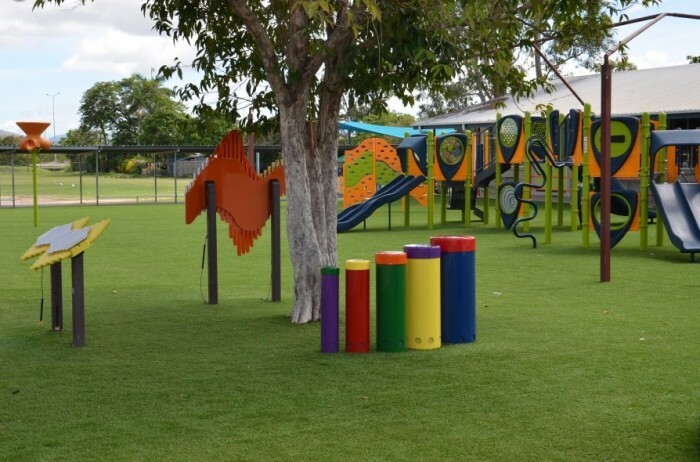 Advantage Sports and Leisure have also incorporated surfacing activities with “Twister” and “Chess” – all beautifully finished with their All Seasons Gold synthetic grass. 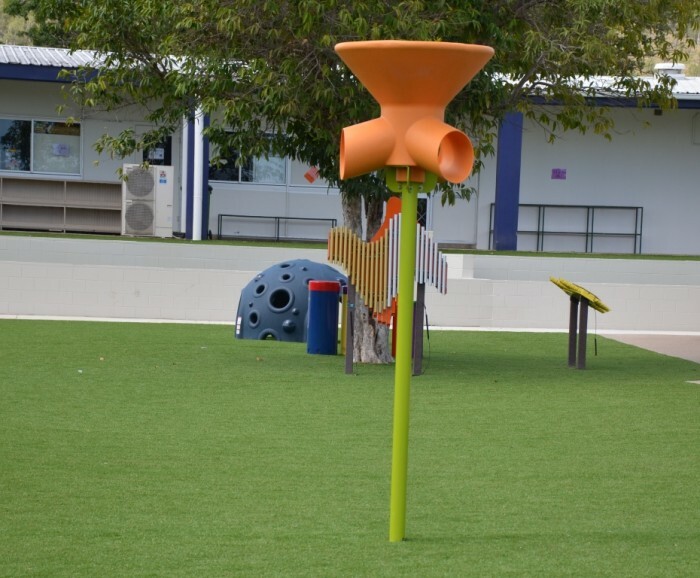 This area will certainly give the students the physical and mental stimulation they need at play time to help them concentrate and centre at their best during class time. 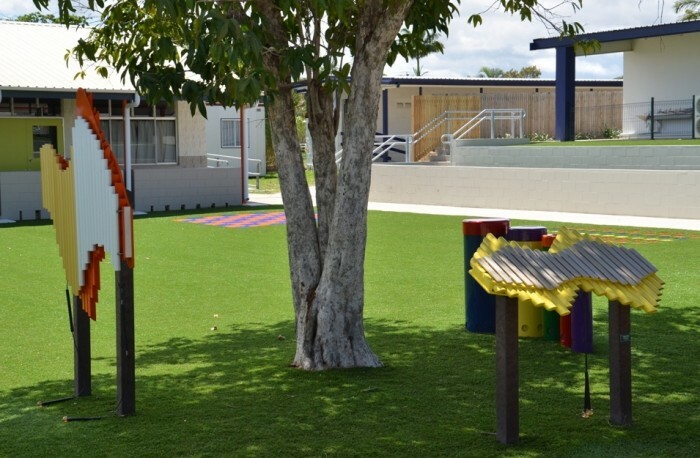 That’s if they’ll want to come back inside! 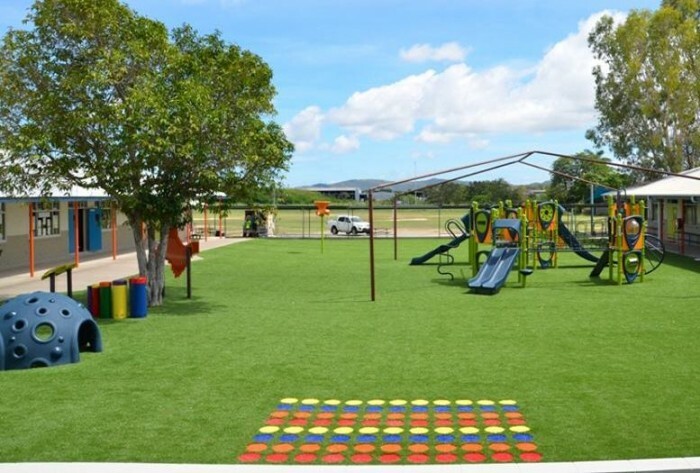 Congratulations Advantage Sports and Leisure on a fantastic project!